Strange goings-on occur in the Greenfingers Palace Hotel when the skeleton staff find themselves snowed in and with the telephone lines down. 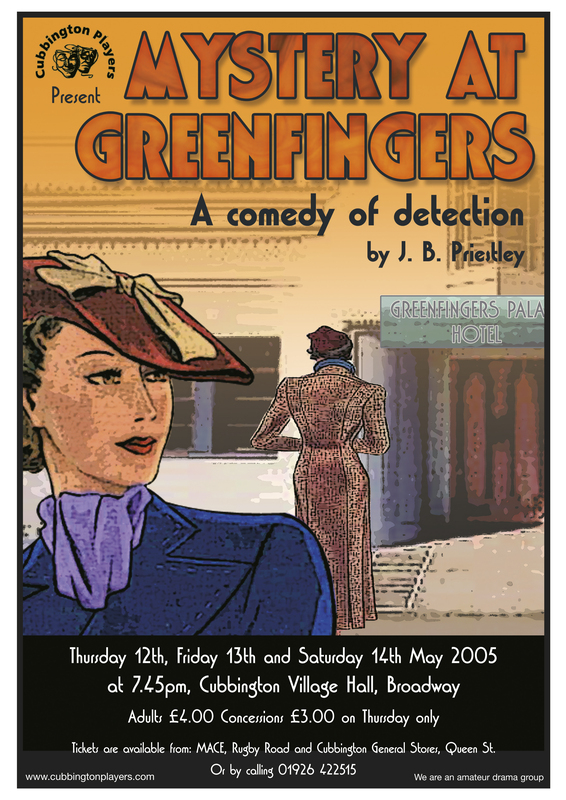 An impossible murder, a mysterious old lady, an incompetent detective and a group of people with hidden secrets keep the audience guessing in JB Priestley’s comic homage to the classic whodunnit. Priestley, perhaps best known for the social commentary of An Inspector Calls, knocked out this feisty little script for an am-dram competition in 1938, describing it as “a comedy of character masquerading as a mystery play”. All credit to the Cubbington Players, then, in the series of thoughtfully rendered characters they put before a packed village hall audience on Friday night. The play, with its wonderfully silly mystery plot, was written to allow amateur dramatics groups around the country to show off their acting skills. While the occasional hesitation meant the Players miss out on top spot, this was a ‘highly commended’ effort nonetheless, full of spirit and genuinely funny too. Among several excellent performances in a rewarding and pacey caper was Christine Squire as the Marple-a-like Miss Tracey, full of mischief, sparkle and infectious enthusiasm for the case. Mark Frampton was suitably befuddled as the dim and self-important Robert Crowther, a hotel detective led a merry dance by Miss Tracey, while newcomer Sarah Rush and Ruth Bishop were thoroughly entertaining as the maids – the hearts of the piece. Hazel Blenkinsop pulled off probably the most difficult role of Edna with considerable credit, while Paul West tackled the role of depressed French chef to excellent comic effect, so often at the centre of the funniest moments. And Kevin Joyner’s double-take to the ‘friend of the hotel owner’ as the keen assistant manager was simply hilarious. The baddies (Pete Pawson’s sly bartender Fred Poole and Becky Hunt’s down on her luck rich girl Helen Tennant) were similarly good and got what they deserved in satisfying style when all was revealed.